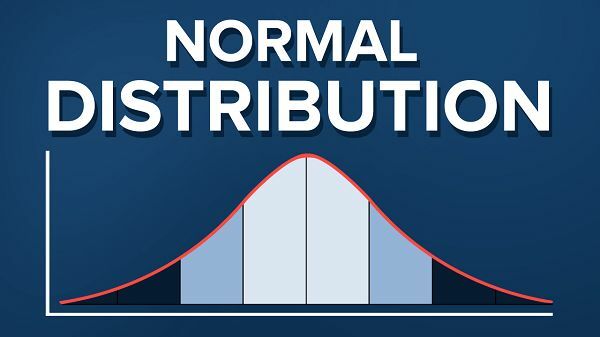 The normal distribution is the most widely used in understanding distributions of factors in the population. Because the normal distribution approximates many natural phenomena so well, it has developed into a standard of reference for many probability problems. 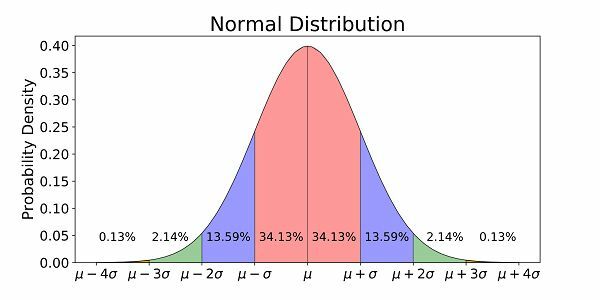 Normal Distribution/Gaussian curve is a bell-shaped graph which has two basic terms, mean and standard deviation. It is a symmetrical arrangement of a data set in which most values cluster in the mean and the rest taper off symmetrically toward either extreme. Numerous genetic and environmental factors influence the trait. Normal distribution follows the central limit theory which states that various independent factors influence the particular trait. When these all independent factors contribute to a phenomenon, their normalized sum tends to result in a Gaussian curve. The mean of the distribution determines the location of the center of the graph, and the standard deviation determines the height and width of the graph and the total area under the normal curve is equal to 1. 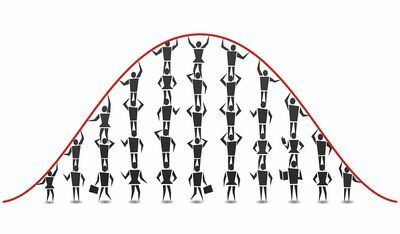 Let’s understand the daily life examples of Normal Distribution. Height of the population belonging to a particular trait is the example of normal distribution. Most of the people in the specific population are of average height. The number of people taller and shorter than the average height people is almost equal, and a very small number of people is either extremely tall or extremely short. Though height is not a single characteristic, several genetic and environmental factors influence the height. Therefore, it follows the normal distribution curve. 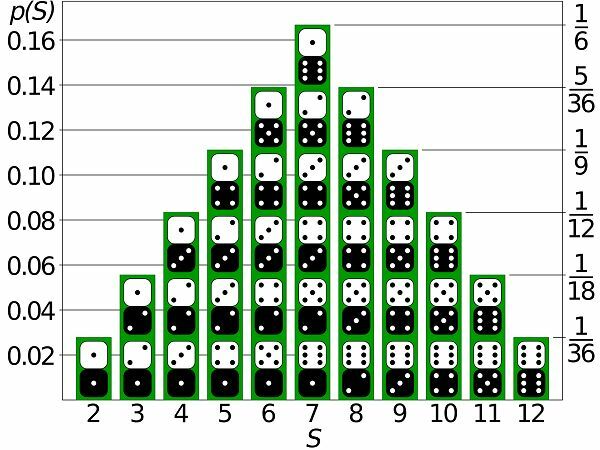 A fair rolling of dice is also a good example of normal distribution. In an experiment, it is found that when a dice is rolled 100 times, the percentage to get 1 is 15-18% and if we roll the dice 1000 times, the percentage to get 1 is again the same, which averages to 16.7% (1/6). If we rolled two dices simultaneously, there are 36 possible combinations. The probability of rolling 1 (with six possible combinations) is again average to 16.7%, i.e., (6/36). More the number of dices more will be the accuracy of getting a normal distribution. Let’s flip for it! Heads or Tails? Flipping a coin is an old age method for settling disputes. We all have flipped a coin while tossing before a match or a game. The perceived fairness in this toss of flipping a coin lying on the fact that it has equal chances that either it will come up with head or tails. The chances of getting head are 1/2, and the same is with tails. When we add both, it equalizes to 1. If we toss coins multiple times, the sum of the probability of getting heads and the probability of getting tails will always remain 1. How intelligent are you? In this scenario of increasing competition, most of the parents, as well as children, wants to analyze their Intelligent Quotient level. 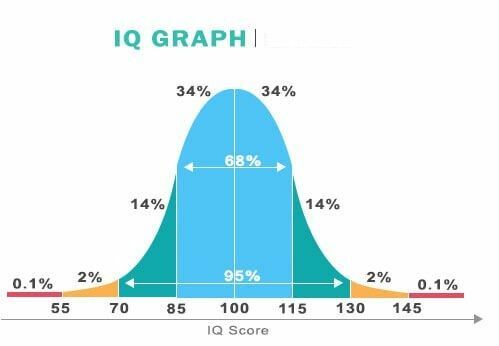 Well, the IQ of the particular population is a normal distribution curve, where the majority of the population whose IQ is normal and a less population has a deviated IQ level. Most of us have heard our parents or in the news about falling and hiking in the price of the shares. 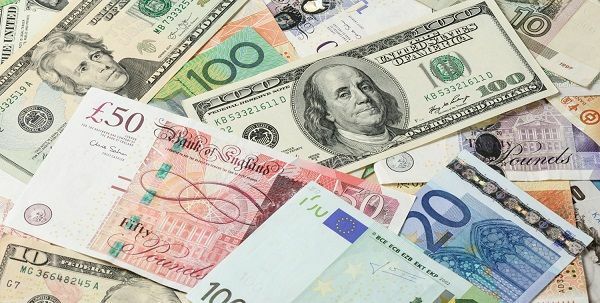 These changes in the log values of Forex rates, price indices, and stock prices return often form a bell-shaped curve. For stock returns, the standard deviation is often called volatility. 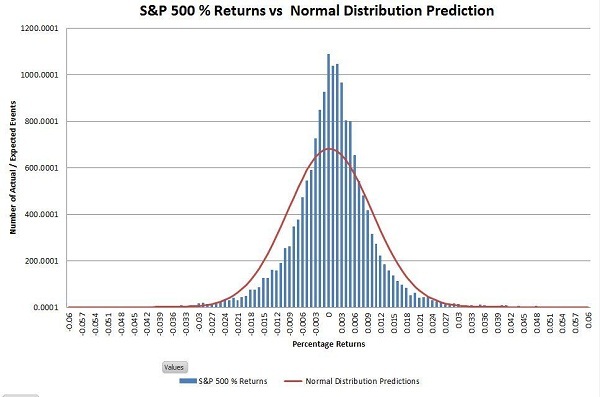 If returns are normally distributed, more than 99 percent of the returns are expected to fall within three standard deviations of the mean. These characteristics of the bell-shaped normal distribution allow analysts and investors to make statistical inferences about the expected return and risk of stocks. The income of the country depends on the hand s of enduring politics and government. It depends upon them that how they distribute the income amongst the rich and poor community. As we all are well aware of the fact that, the middle-class population is more than the rich and poor population. So the normal wage makes the mean in the normal distribution curve. Have you ever wondered what would have happened if that glass slipper left by the Cinderella at the price house was fitted to another women’s feet? He would have ended up marrying another woman. It was the wrongest assumption we all have ever seen. 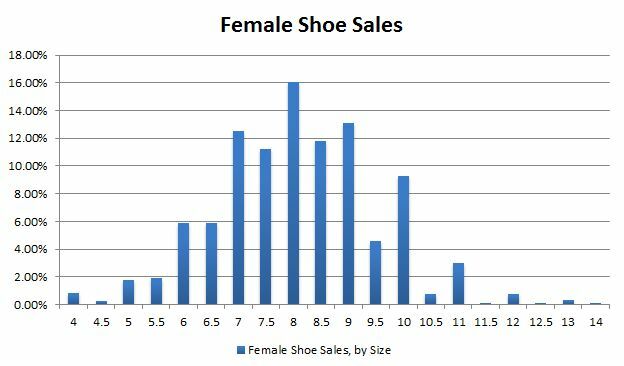 As per the data collected in the US, female shoe sales by size is normally distributed because of the physical makeup of most of the women are the almost same. The normal birth weight of the newborn ranges from 2.5 to 3.5 kg. The majority of newborns have normal birthweight whereas; less population has a weight higher or less than the normal. 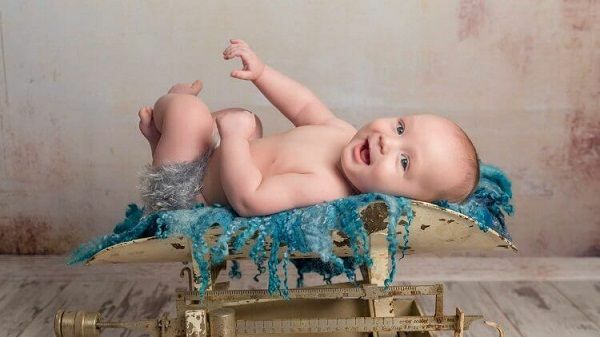 Hence, birth weight also follows the normal distribution curve. Nowadays, schools are advertising their performances on social media and TV. They present the average result of their school and attract the parents to get their child admitted into that school. 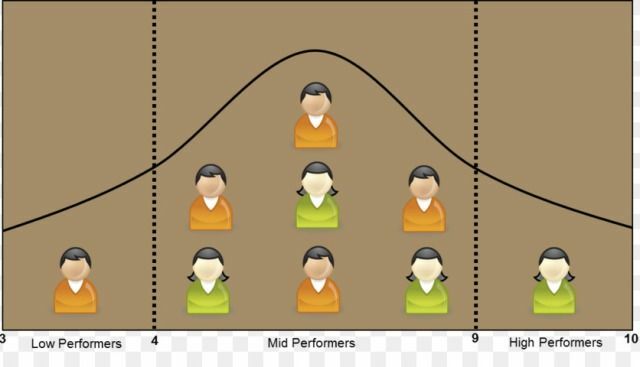 School authority finds the average academic performance of the students, and mostly, it follows the normal distribution curve. The number of average intelligent student is higher than the intelligent and poor students.